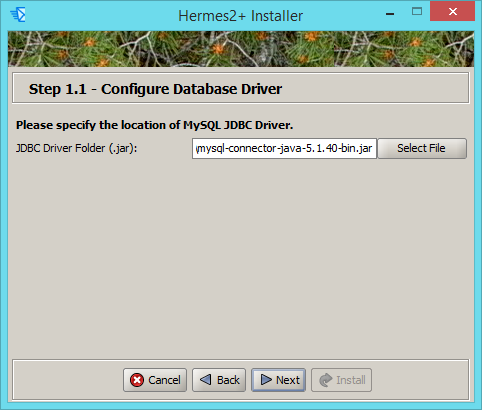 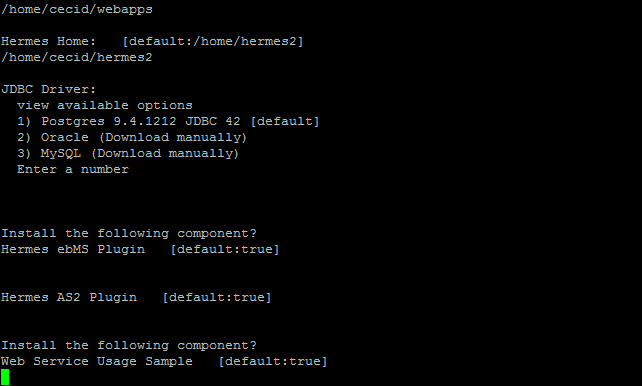 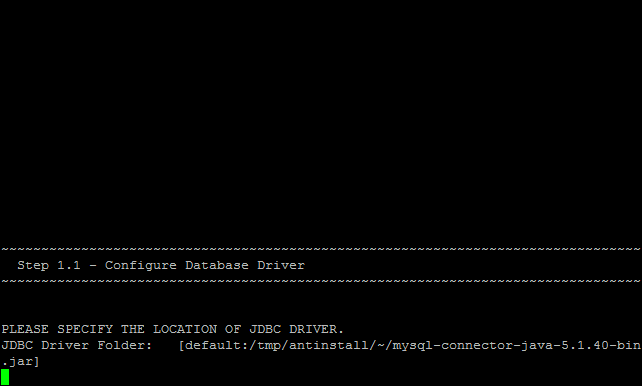 For Unix/Linux, open terminal and type sudo java –jar hermes2_installer.jar. 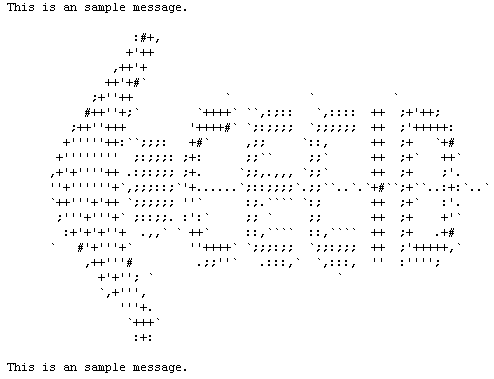 Press Enter until you get to Screen in “2. 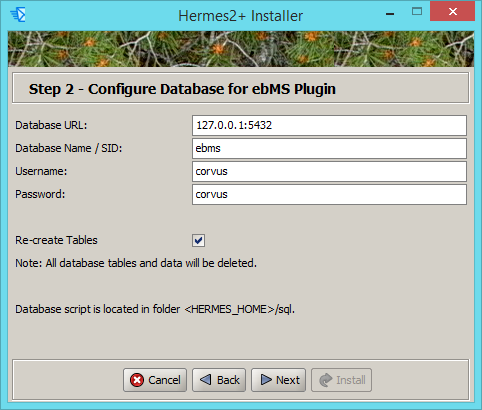 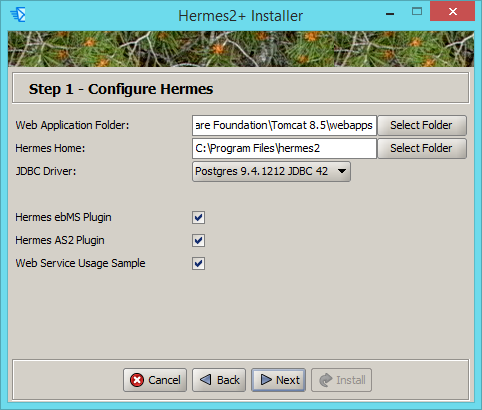 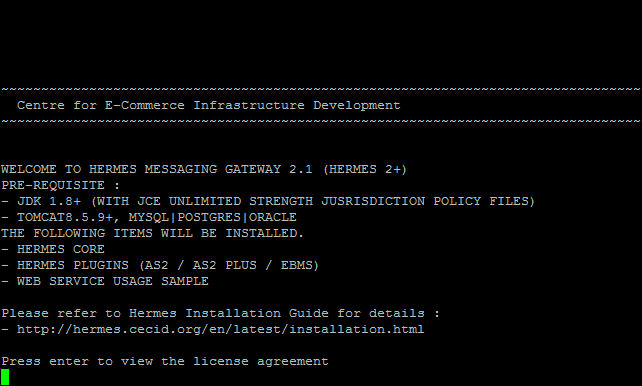 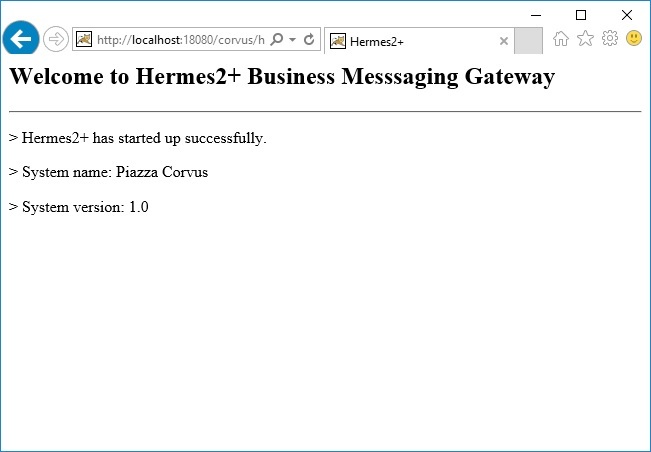 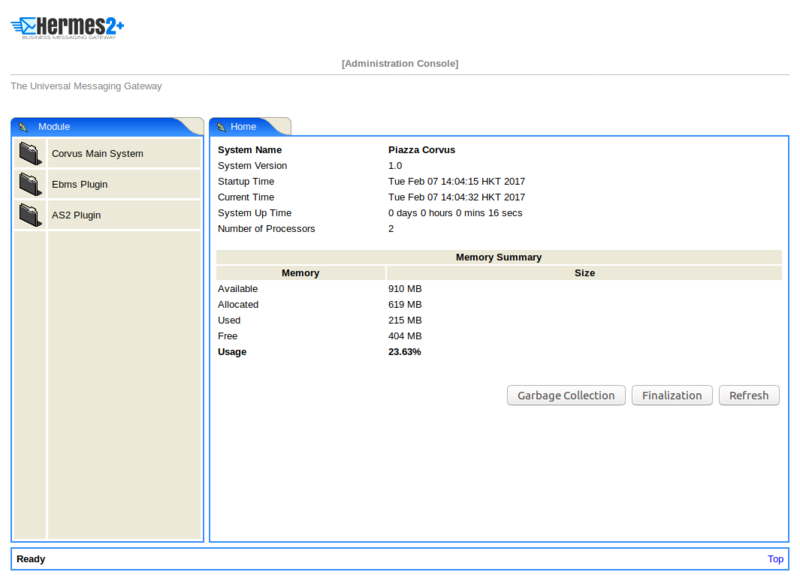 Step 1 - Configure Hermes Core”. 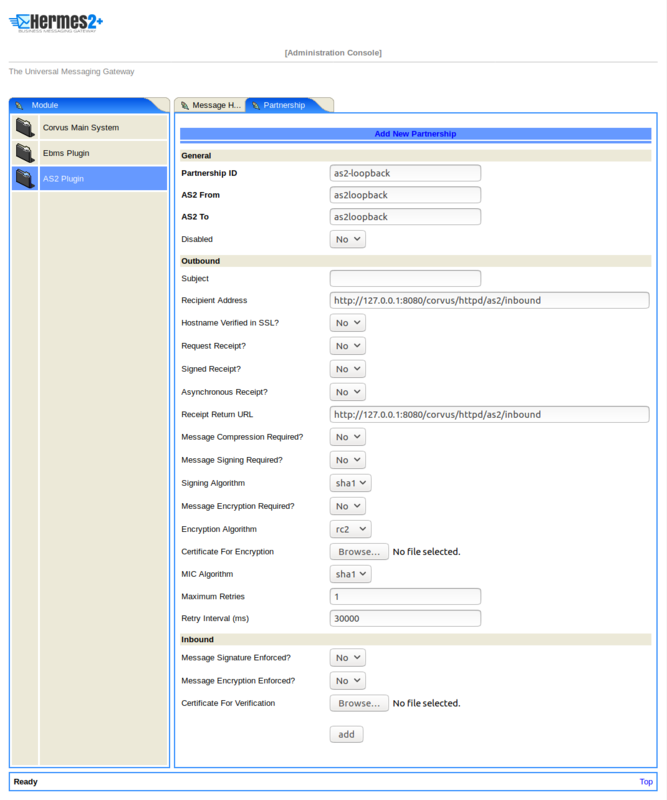 Click Next until you get to Screen in “2. 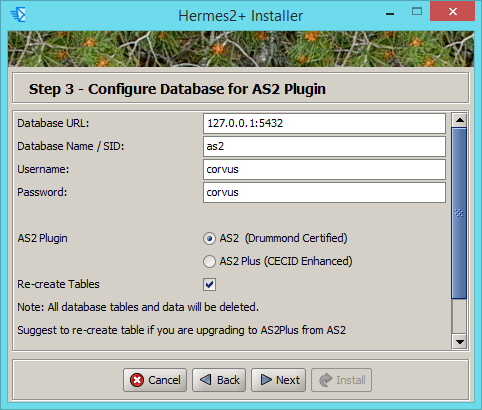 Step 1 - Configure Hermes Core”.